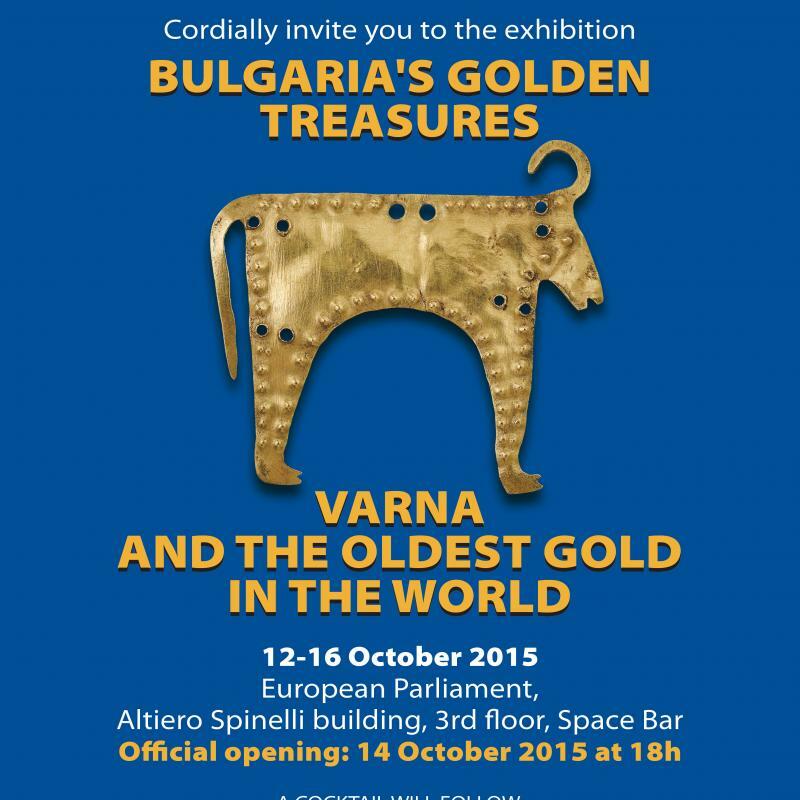 The exhibit entitled “Varna – The Oldest Gold Treasure" was opened on October 14, and will be on display at the European Parliament’s Altiero Spinelli Building, on the 3rd floor, until October 16, 2015. 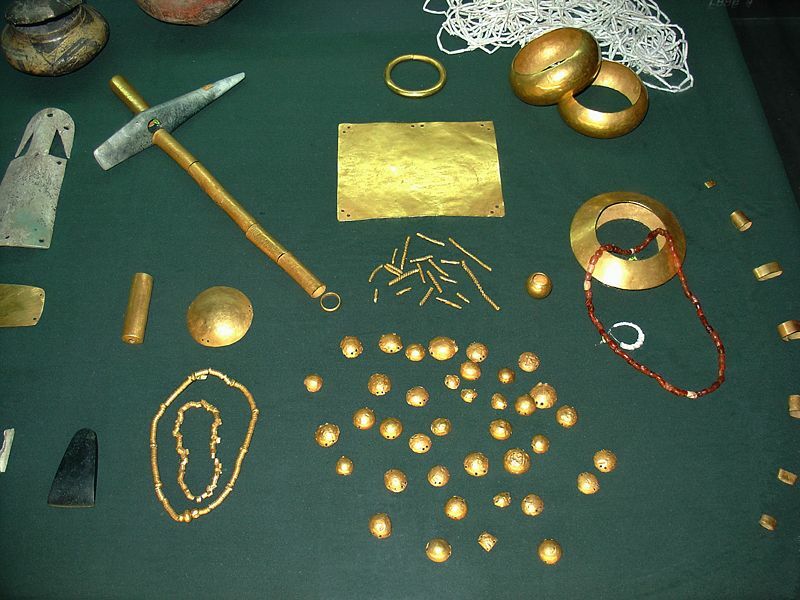 Created by the Chalcolithic Varna Culture, the treasure consisting of a wide range of gold artifacts from the funeral inventories of a number of prehistoric graves has been dated to 4560-4450 BC. 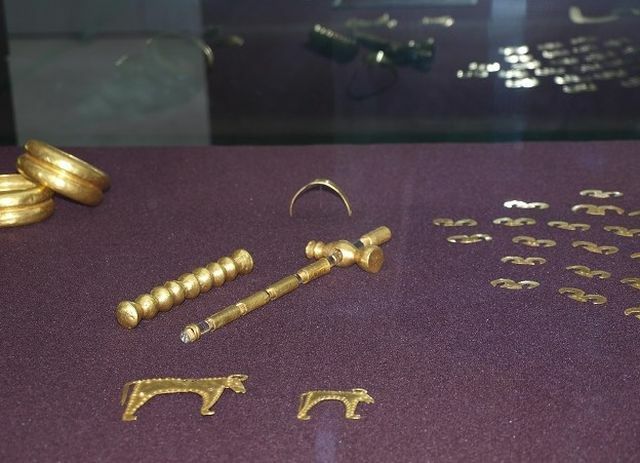 The Brussels exhibit features some of the most precious finds from the Varna Necropolis – the gold artifacts discovered in Graves No. 4 and 36 whose combined weight is more than one third of the total weight of the entire Varna Gold Treasure. The opening of the “Varna – The Oldest Gold Treasure" exhibit was attended by the “Big Three" EU leaders – the President of the EU Council Donald Tusk, the President of the European Commission Jean-Claude Juncker, and the President of the European Parliament Martin Schulz. 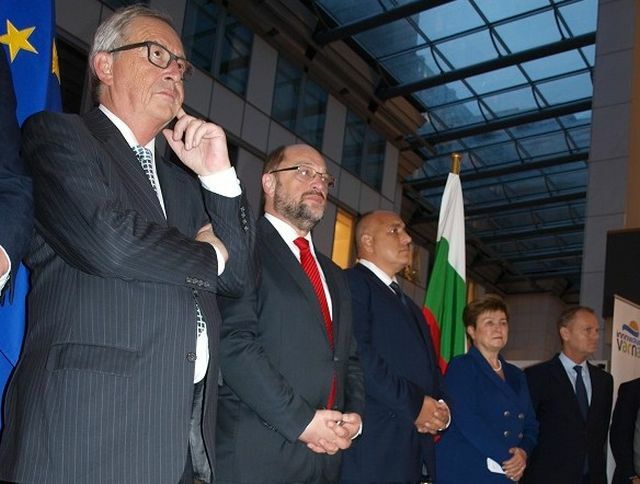 Bulgaria was represented by Prime Minister Boyko Borisov and Kristalina Georgieva, Vice President of the European Commission, and by most of the 17 Bulgarian Members of the European Parliament (MEPs). 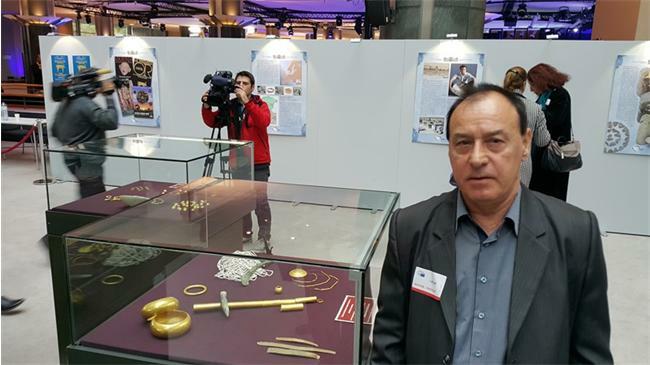 The exhibition of the Varna Gold Treasure in the European Parliament in Brussels has been initiated by Bulgarian MEP Emil Radev, a native of the Black Sea city of Varna. “I would like for people to see that in addition to sunny beaches and nice ski tracks, Bulgaria has got ancient history, much more ancient than the civilizations of Egypt and Mesopotamia, and that it has lots of interesting artifacts. This is our best advertisement – to show everybody in the heart of Europe that Bulgaria is unique, and that we are an ancient people with a rich history," says Radev, as cited by the Bulgarian daily 24 Chasa. He adds that it took him a year to organize the exhibit of the Varna Gold Treasure in Brussels. The Varna gold has been exhibited all over the world in the 43 years since its discovery. However, for the first time at the Brussels exhibit the organizers have invited Raycho Marinov, 65, the man who originally discovered the treasure and the Varna Chalcolithic Necropolis while he was operating an excavator back on October 22, 1972, at the age of 22, reports Darik Varna. Marinov came across several bracelets and a breastplate, collected them in a shoe box, and took them home. Having had no idea what he had stumbled upon, a couple of days later he informed the local archaeologists. For his discovery back then, Marinov was awarded BGN 500, a substantial sum for the time equal to several monthly salaries. However, the intelligence services of the Bulgarian communist regime followed him around for a while to make sure he had not kept any artifacts for himself in order to sell them. 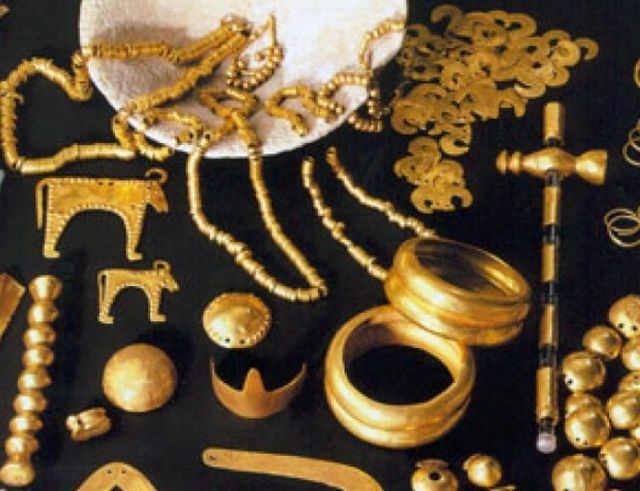 While he says that he is proud that the entire world can see the prehistoric gold treasure, the world’s oldest, which he discovered, Marinov also shares that because of the discovery his son later grew up to earn a degree in archaeology and history but is presently unemployed. 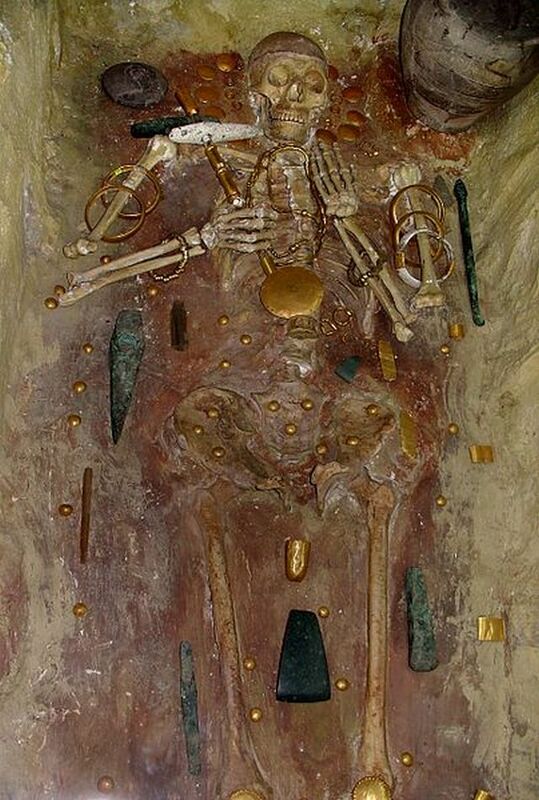 The discoveries from the necropolis indicate that the Varna Culture had trade relations with distant Black Sea and Mediterranean regions. It likely exported rock salt from the Provadiya – Solnitsata (“The Salt Pit") rock salt mine.